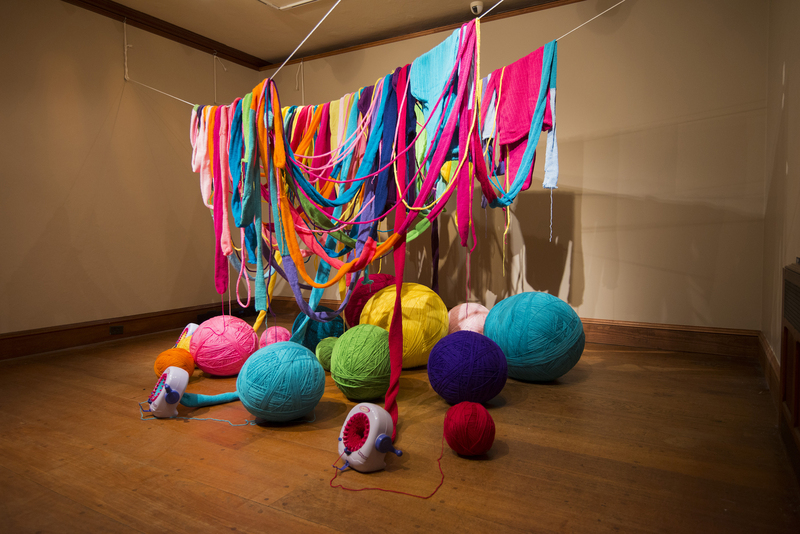 Installation created for a collaborative 3-artist show at the Hermitage Museum and Gardens, responding to the Lewis Hine photographs of child workers from the Sloan Knitting Mills (Norfolk, VA, 1911). 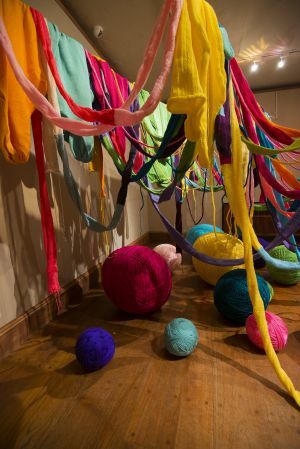 Cotton farmers, field workers picking through sharp bolls, children who stood from dawn to dark, barefoot between knitting machines—whether or not the visitor to the museum is aware them, these images are bound into the experience. 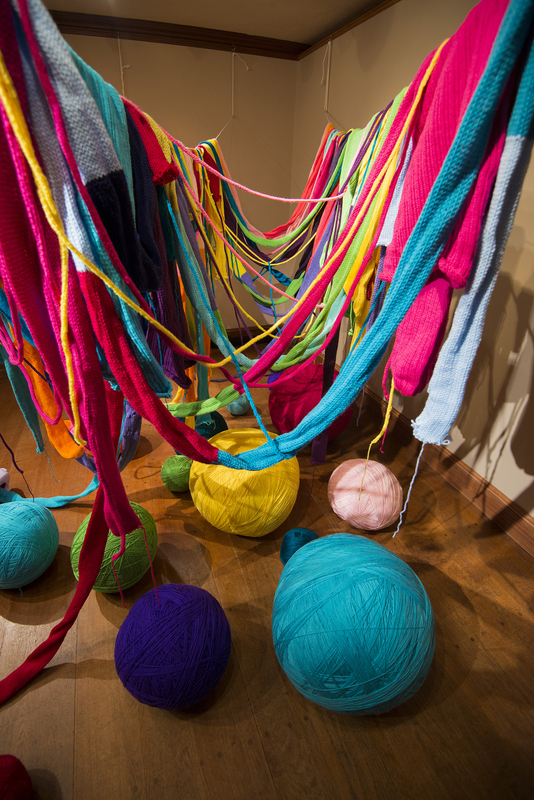 Through three site-specific installations, Threads seeks to shine a light on these stories. In 1911 Lewis Hine came to Norfolk, Virginia, to photograph the knitting mills. 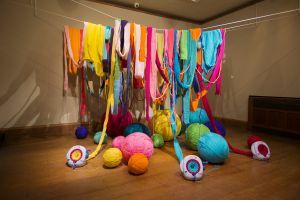 In his photographs we see the faces and read the names of people whose labor helped to fund the Hermitage Art Collection, woven into art and artifact as surely as warp and weft form cloth. Appreciation of this labor enhances the significance—and perhaps even the beauty—of one of America’s great art collections. 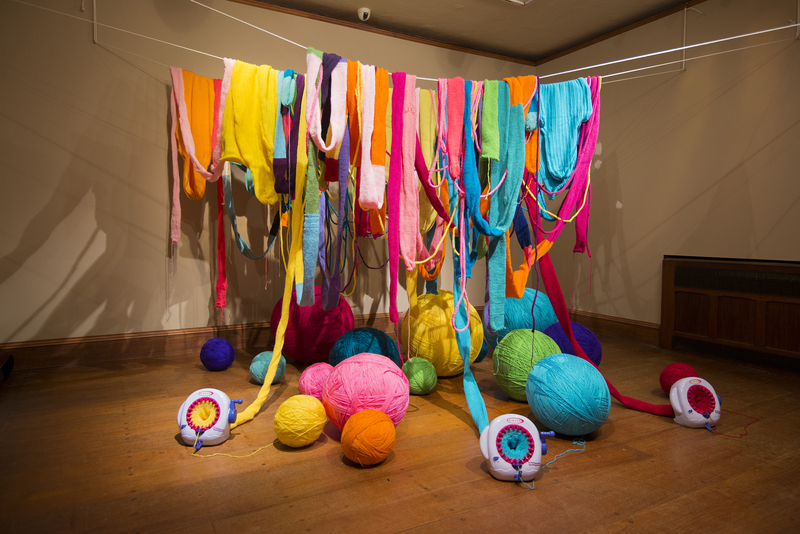 Threads is an artistic collaboration developed in 2013 in an effort to reveal the dignity and struggle in these underlying, often forgotten stories. 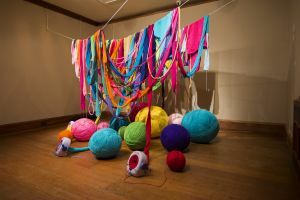 The exhibit explores the relationship between art and labor as part of a larger human struggle – one that can still be connected, like a thread, through time and art to change the way we see the valued objects of today. Made In China. The stamp is so ubiquitous that we barely notice it anymore. 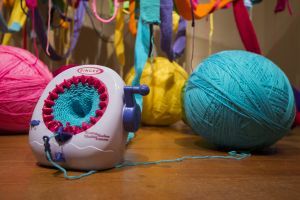 It’s found on the bottom of the colorful Singer Knitting Machine. It’s found on our furniture, toys, clothes, electronics. Made in Vietnam, Made in Bangladesh, Made in Indonesia. Our country is made overseas, where our laws have no bearing. Many of the mills and plants have decent working conditions for their employees. Many do not. Today the U.S. Department of Labor estimates that there are still 168 million children under 18 working worldwide, and 85 million in hazardous work, sometimes making mere pennies an hour. The children in the Lewis Hine photographs of knitting mill workers are separated from us by time. But their stories are woven through our collective history. Back then, the world was smaller. Today, the threads that connect us are longer and more tangled. The mills and child laborers are no longer in our communities, but their mark is left all around us.